It sounds like a freakish ailment from a horror movie: Sores erupt on your skin, mysterious threads pop out of them, and you feel like tiny bugs are crawling all over you. Some experts believe it's a psychiatric phenomenon, yet hundreds of people say it's a true physical condition. It's called Morgellons, and now the government is about to begin its first medical study of it. The U.S. Centers for Disease Control and Prevention is paying California-based health care giant Kaiser Permanente $338,000 to test and interview patients suffering from Morgellons' bizarre symptoms. The one-year effort will attempt to define the condition and better determine how common it is. The study will be done in northern California, the source of many of the reports of Morgellons (pronounced mor-GELL-uns). Researchers will begin screening for patients immediately, CDC officials said Wednesday. A Kaiser official expects about 150 to 500 study participants. "Certain geographic hot spots, metropolitan areas in Florida, California and Texas report a higher than average number of patients who have these symptoms," Dr. Michele Pearson, the leader a CDC task force overseeing the study told CBS' The Early Show. "The areas where there appears to be clustering of this illness also are areas where there are large general population overall." Morgellons sufferers describe symptoms that include erupting sores, fatigue, the sensation of bugs crawling over them and - perhaps worst of all - mysterious red, blue or black fibers that sprout from their skin. They've documented their suffering on Web sites. Some doctors believe the condition is a form of delusional parasitosis, a psychosis in which people believe they are infected with parasites. In the study, volunteers will get blood tests and skin exams, as well as psychological evaluations, said Pearson. Pearson told The Early Show that it would take a year to complete their investigation. Pearson suggested the study will help determine if Morgellons is the same as delusional parasitosis or something new. Study participants will be drawn from Kaiser's 3.4 million health insurance customers living mainly in the Sacramento and San Francisco areas and as far south as Fresno. 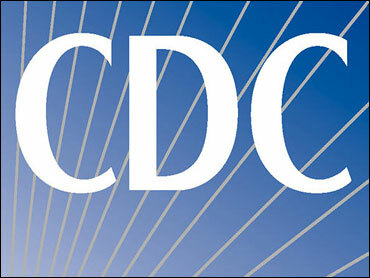 CDC officials acknowledged the study is limited and the results won't give a complete picture of the problem. Randy Wymore, an Oklahoma State University pharmacologist, who believes the condition is not a psychiatric one, says there is distrust by some Morgellons sufferers toward the new study. Some of these patients who are Kaiser Permanente members have said they don't like the way they've been treated by Kaiser doctors and probably won't participate, said Wymore, who formerly was a research director for a patient group and hears constantly from Morgellons patients. "They felt that Kaiser was particularly unreceptive to treating them for anything other than a psychiatric disorder," said Wymore. A Kaiser official said he had not heard such complaints. No patient will be excluded from participation, even if a doctor previously determined the problem was psychological, said Dr. Joe Selby, director of research for Kaiser Permanente Northern California. Kaiser researchers will look in their records for previous patients who in the last 18 months reported Morgellons-like symptoms. They will be asked to participate in more medical evaluations. Any fibers or specks that are collected will be analyzed at the Armed Forces Institute of Pathology, Selby said. Doctors who believe the condition is psychiatric suspect fibers are likely just threads from clothing. The CDC has been getting more than a dozen calls a week from self-diagnosed Morgellons patients for well over a year, and was urged to investigate by U.S. Sen. Dianne Feinstein of California and others. Some say they've suffered for decades, but the syndrome did not get a name until 2002, when "Morgellons" was chosen from a 1674 medical paper describing similar symptoms.